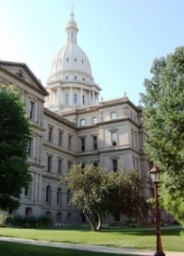 1) Yesterday, politicians in Lansing, Michigan, passed a smoking ban over the Wolverine State, which is widely expected to be signed into law by Gov. Jennifer Granholm. The new restriction would criminalize lighting up in restaurants and bars, but exempts casinos and cigar bars. It will take effect on May 1 and make Michigan the 38th state with some sort of statewide ban. 2) Dating back to the 1860s, the tradition of “lectores”—cigar factory workers who read aloud to rollers—is still alive and well in Cuba. You may recall that this unique practice is why two of the world’s most famous cigar brands are named for a Shakespeare play (Romeo y Julieta) and an Alexandre Dumas novel (Montecristo). Published yesterday, this BBC article illustrates the role of lectores and their importance to cigar culture. 3) Inside the Industry: Habanos SA, the Cuban national cigar company, is introducing a new size in its San Cristóbal de La Habana line: the “O’Reilly,” which measures six and a quarter inches by 56 ring gauge. The new EP Carrillo Edición 2009 inaugural cigar is finally shipping to stores. While the Illusione Nostros—a collaboration between Illusione and Drew Estate—debuted at the 2009 IPCPR Trade Show, its release is now being delayed until March 2010. 4) Around the Blogs: Stogie Review reviews the Punch Upper Cut. Stogie Fresh lights up a San Martin. Keepers of the Flame torches the Tatuaje Verocu No. 9. The Weekly Cigar tries the El Primer del Mundo. Cigar Jack checks out the La Traviata. Nice Tight Ash smokes the Patel Bros.
5) Deal of the Week: Cuban Crafters is having an unpublicized sale on some of our favorite smokes. Included are the Cupido Tuxedo, La Carolina, Cupido Criollo, and Medina Miami 1959, all for well below normal prices. Grab yours here. Thanks for the link love guys! At least they were able to get the smoke shops, cigar bars and casinos exempted. At one point, it looked like that would not happen. That would be something to celebrate…if it weren't for the alarming pattern emerging. Massachusetts had exemptions when they passed their smoking ban; those exemptions were later under fire and expected to be eliminated (I can't remember if that passed or not). Tennessee, where I live, passed the most common-sense exemption I have seen: any establishment can allow smoking if they declare themselves to be 21-and-over-only. Within the last two weeks, Democrat lawmakers in the legislature have introduced legislation to eliminate that exemption. Sure, they will allow your exemptions at first, but once they pass the law, they already have a foothold to get everything they want. Using their game of "incrementalism" they will eventually get it. Good job, Gov. Granholm and Michigan legislature. Because, you know, there really are not enough people unemployed or storefronts vacant in Michigan yet. I completely agree with dmjones. “Incrementalism” seems to be the trend. The dilemma we are faced with is, how do we reverse the trend and change attitudes/perceptions? There haven't been too many states yet where they have come back and removed exemptions for cigar bars and tobacco shops. There will be an effort to remove the casino exemption before the law even takes effect, I am sure, but lawmakers are sick of the issue and I doubt will even want to revisit the fact it appears to ban smoking on outdoor patios and golf courses.